Do you use Gmail every day? If you do, you’re one of the 1 billion people (as of February 2016) who actively use it. That said, do you know how to keep your Gmail secure? Out of all the well-known email services available right now, Gmail is arguably perceived as the most user-friendly. However, is your email as secure as it can be? 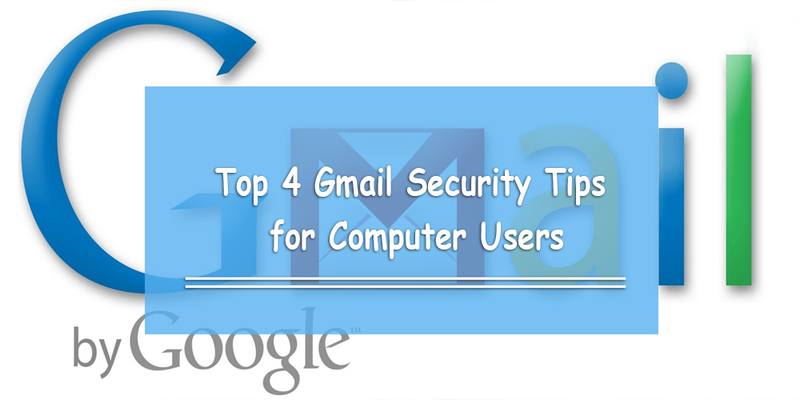 Here are 4 tips you can use to ensure that your Gmail account is secure. Gmail has a page that can help you review all your important Gmail settings in one place. This is for when you suspect unusual activity from your account, or if you accidentally get locked of it. They have your phone number, a security question, and an alternative email you can use to recover your Gmail account. This is used to review all the devices connected to your account. This includes, your phone, laptop, tablet, and any other devices from which you’ve recently logged in. 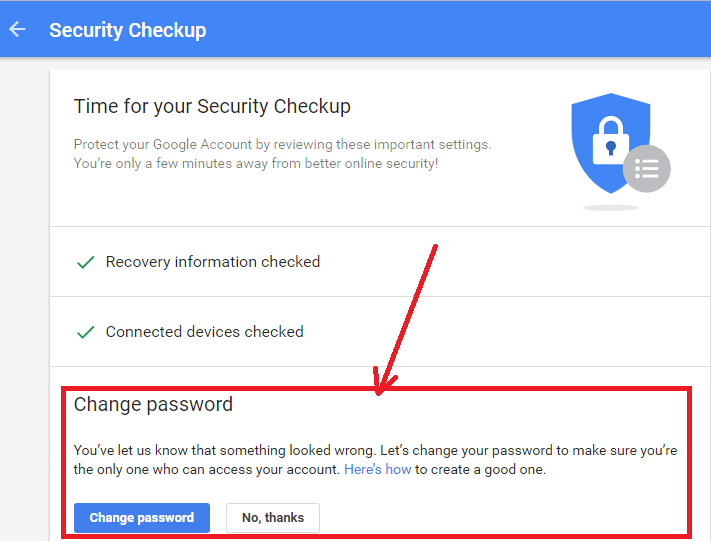 Gmail will tell you that you’ve notified them, and will then suggest that you change your password until they solve the problem. This will give you a list of all the apps, websites, and devices that you allowed to access information from your account. It will also show you what Google-related information it has. 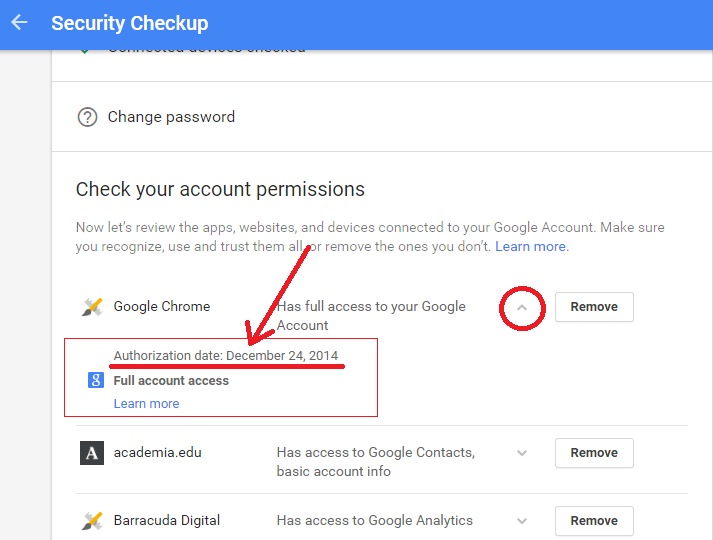 In the example below, Google Chrome has access to my Google account. However, there are other Google programs to which you might have granted access for certain apps. This could include your YouTube account, your Google contacts, Google+, your Google Calendar, etc. Make sure your password is one that you don’t use for other websites either. Want to learn how to make all your accounts safe and secure? Click here if you’re over 18, and click here if you’re under 18. 2. Click the Settings button in the top-right corner; it’s the gear icon. 4. Click the tabs below to check your setting. 1. Check your signature. This signifies that the messages are coming from you and not from someone else. 2. Check your vacation responder and see if it’s been changed. 1. Check the ‘Send Mail As’ option to make sure you were the one that sent all the emails through that account. 2. Check ‘Grant access to your account’ to see that no unknown people have access to your account. 3. Check ‘Check mail from other accounts (using POP3).’ If there’s an email address in the list that doesn’t belong to you or someone you trust, change your password immediately. 1. Check to make sure mail isn’t being forwarded to an account you don’t know about. You can do this by using the ‘Forward to’ filter. 2. Make sure that no filters you didn’t create delete messages automatically. This is really important. Whenever you update your browser, you also get the latest security updates. To know whether you have the most updated settings, go to WhatBrowser.org. You will receive one of two messages underneath the icon of the web browser you’re using. If you see, “This is the most current version,” your Gmail security settings are fully updated. Google does a pretty good job with making sure you don’t get unwanted emails in your Gmail account. However, in case you do, they have a method for how to avoid and report Google scams. Whenever you receive something suspicious, just delete it. 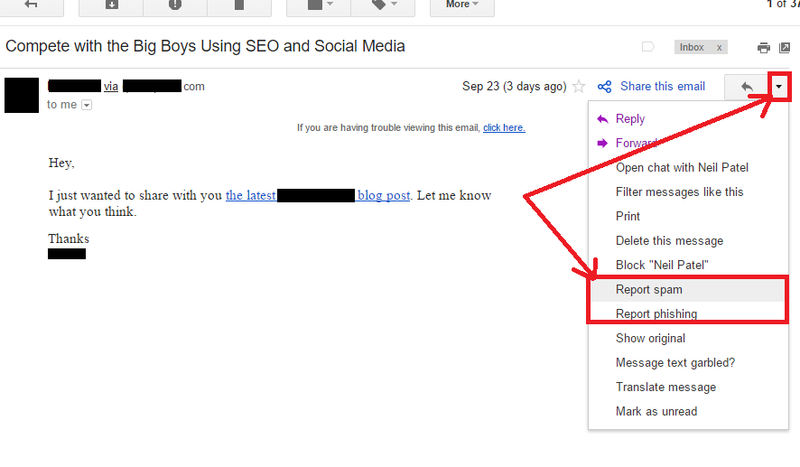 However, in case you do receive an unwanted email, report it to Google by clicking the drop-down menu on the right side of the screen (see below).